Every so often, a car manufacturer will organise a ‘range day’, inviting the great, the good and people like me to test some cars on pre-arranged driving routes. It’s a little like speed dating for cars, only without the occasional awkward silence. If there’s one problem with these events, it’s that all the cars tend to be lost in a tangled mess of trim levels, engines and wheel sizes, resulting in a feeling of malaise. Not that this is a problem with the Mercedes E-Class. Whatever you need, the E-Class has you covered – or perhaps not, if you opt for the Cabriolet. I travelled to Mercedes-Benz World in Surrey to pop a trio of Es, with a combined price tag of £220,000. And I drove away with a feeling that Mercedes might have created a near-perfect three-car garage. For a performance saloon with such a formidable reputation, the E63 S is able to blend into its surroundings with remarkable ease. Faced with a long line of E-Class variants parked outside the temple-like Mercedes shrine in Weybridge, it was a job to spot the Affalterbach special. How refreshing. If only the likes of the CLA, GLA and GLE Coupe were able to disappear into the background with such consummate adroitness. But that’s another story. As the most powerful E-Class of all-time, the E63 S is a headline writer’s dream, but you’ll require strong willpower not to resort to tired clichés when describing the blistering pace. Too fast for the road? Perhaps, but let’s not get all Lotus Carlton/Daily Mail here. In ‘standard’ guise, the 4.0-litre twin-turbocharged engine generates 571hp and 553lb ft of torque, or – as tested here – 612hp and 626lb ft of torque. Cliché alert: enough power to rip the roof off a rice pudding factory, then. 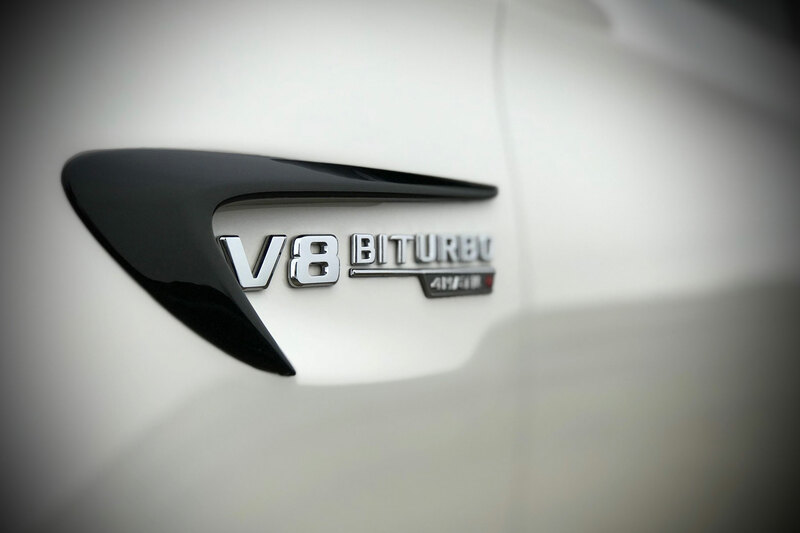 The other figures are just as impressive: the E63 S will dash to 62mph in 3.4 seconds, before hurtling to an electronically-limited top speed of 186mph, assuming you’ve ticked the box marked ‘AMG driver’s package’ and furnished the salesperson with an extra £765. Hey, when you’re spending the best part of £90,000 before options – the test car cost £103,430 – an extra £765 is a small price to pay, not least because it includes training at AMG’s driving academy. 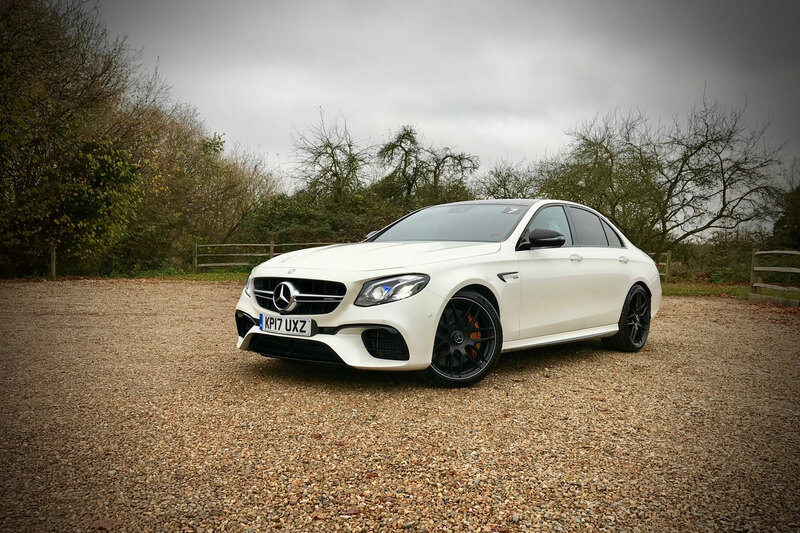 As a car enthusiast, you’ll have read the reviews already, and you won’t need a two-bit motoring writer from Dartmoor to tell you quite how devastatingly effective the E63 S is at going about its business. And if bringing cheer to the good people along the A3 corridor is a requirement, the super-saloon deserves a five-star rating. In just 45 minutes behind the wheel, the car was photographed twice, received a thumbs up from a young boy – why weren’t you at school, lad? – and earned a cheery wave from an old lady. At least, I think it was a cheery wave. Proof that subtle can turn heads? In an area in which every third car is an over-wheeled and over-styled SUV, this is no mean feat. Heck, I had the misfortune of seeing three Bentaygas in just one morning. 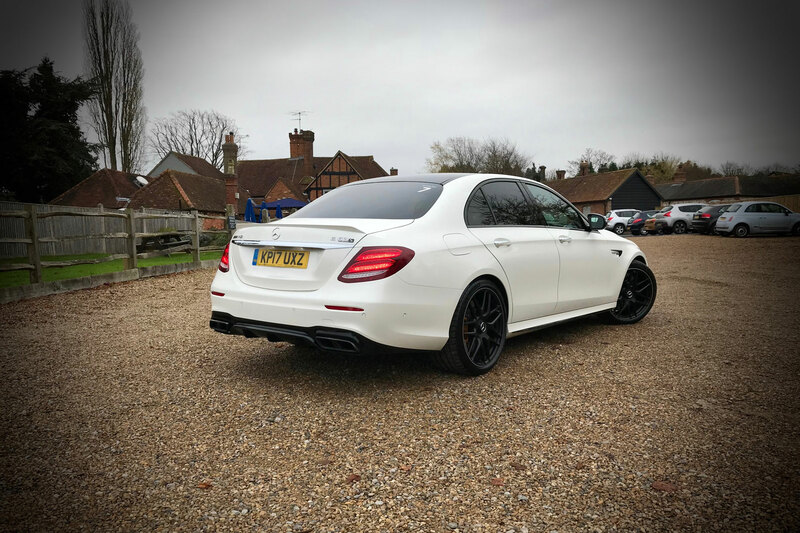 I could point to the optional 20-inch cross-spoke, high-gloss black alloy wheels and the diamond white metallic paint as the primary reasons for the E63’s standout qualities, but it was most likely the £1,000 AMG performance exhaust. Pressing the appropriate button on the centre console is akin to switching from Magic FM to a death metal Spotify playlist. Without it, the E63 is relatively docile: the kind of car you’d take to meet your mother-in-law for Sunday lunch. With it, the E63 is anti-social and brilliant. It prowls the streets, delivering a thrumming, guttural roar, which reverberates off buildings and throughout the neighbourhood. Shy and retiring types need not apply, but for attention seekers, this is automotive nirvana. It means that the E63 S has a purpose beyond the de-restricted autobahns of Germany and the open roads of the Scottish glens. Stick it in Sport+ mode, and the S pops and spits on the over-run, holding on to each gear for as long as possible when approaching a junction. Forget it bringing out the hooligan in you – this thing is the real hooligan. The E63 S can sprint from speedbump to traffic lights in a blink of an eye, before reaching a licence-losing speed faster than you can say ‘cliché alert’. But the theatrical display is about more than just lightning pace and a thunderous soundtrack. The steering is precise and so well-weighted it makes otherwise trivial manoeuvres seem like an event. Parked cars, width restrictions and mini-roundabouts create a playground of absolute joy. Put aside any thoughts of all-wheel drive diluting the AMG’s spirit. I didn’t get a chance to experience the famous Drift Mode – which in reality means I wasn’t brave enough – but I did experience some oversteer magic in Sport+ mode when exiting a junction near Merrow. Eat your heart out, Chris Harris. I ventured back to Weybridge along the A3, playing slingshot with the traffic and longing for more time behind the wheel. 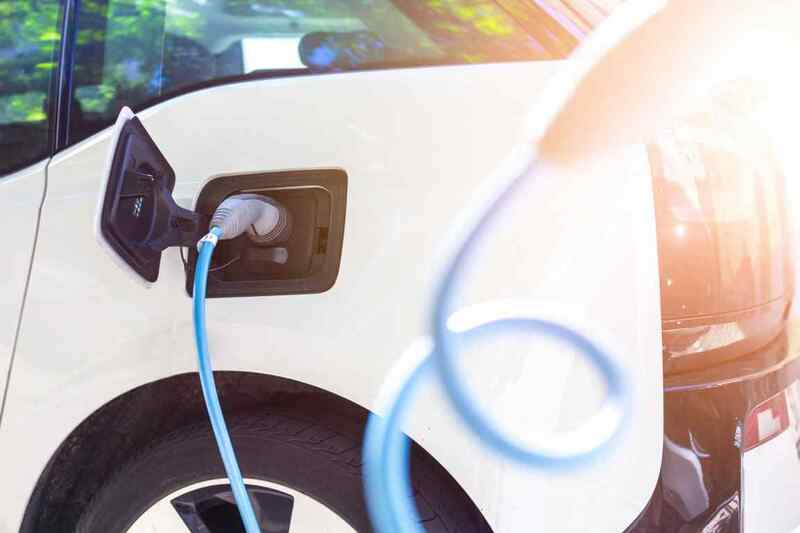 That I had experienced just 10% of the car’s potential hardly seemed to matter, not least because I possess only 10% of the talent required to extract the best from it. Flicking the switch from Sport+ to Comfort turns the S into S-Class, making full use of the air suspension and cylinder deactivation technology. Its calming and cosseting qualities are as impressive as its rabid performance. This is a twin-turbo V8 you could live with every day, assuming you could live with the running costs and Instagrammers, who will follow your every move. In reality, a claimed 31mpg is perfectly acceptable for a super-saloon with supercar-taming qualities. So, that’s filled one space in the E-Class garage, what’s next? If the E63 S is subtle, a black E300 Cabriolet is bordering on anonymous. So much so that the chap dishing out the keys failed to locate it in the car park. But that’s not to say the Cabriolet is lacking in theatrical qualities. The S-Class-derived insulated fabric roof opens and closes in just 20 seconds, and can be operated at speeds of up to 31mph. I tested this on the exit road out of MB World, which rekindled ‘fond’ memories of an old boss, who, when facing a sudden shower on the outside lane of the M25, decided to raise the roof on his gold Audi A4 Cabriolet. Believe me when I say that waiting for the roof to close at speeds of no more than 20mph is an excruciating experience when you’re sat in the passenger seat, trying to ignore the hand gestures and rude words emanating from passing white vans. I’ve forgotten how long it took for the A4 to raise its roof, but it felt like an eternity. Twenty seconds at 31mph is genuine progress – thank you, Mercedes-Benz. The new E-Class Cabriolet channels its inner Sade as a real smooth operator. The insulated roof makes it feel like an E-Class Coupe, and with ample space for rear seat passengers, you have to question why you’d order the tin-top version. It helps that the current Cabriolet is no longer based on the C-Class, with its E-Class origins making it 123mm longer and 74mm wider than before. 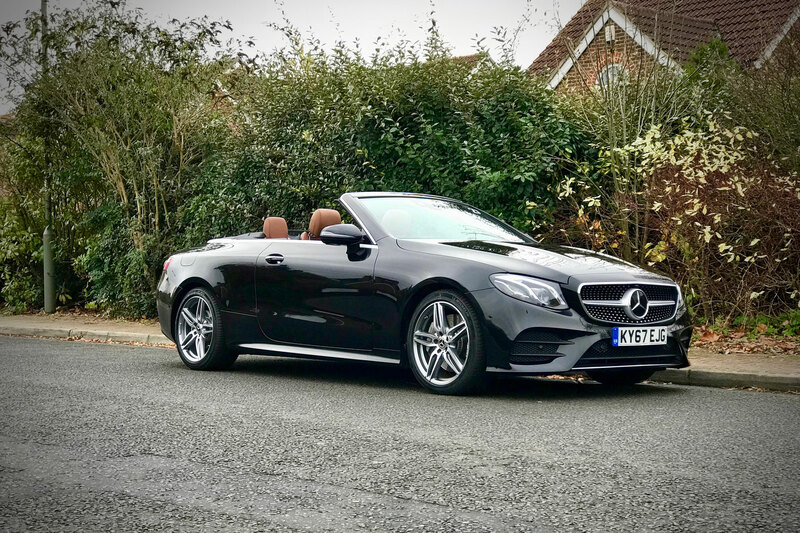 This is a proper four-seat cabriolet, with rear seat passengers feeling part of the experience, rather than being relegated to the cheap seats. All-weather qualities are provided by the standard-fit Airscarf neck-level heating, Aircap wind-deflector and heated front seats (crucial equipment in the UK), plus optional sun-reflecting leather (sadly, not as important in the UK). For cruising, wafting and posing qualities, the E-Class Cabriolet is in a league of its own. The AMG body styling delivers kerb appeal, – although you should avoid black paint if you hope to stand out – and there’s an overall feeling of a car that doesn’t like to be hurried. It’s not that the Cabriolet feels dynamically inept, but there’s no getting away from the fact that this is a large and heavy drop-top, with a focus on comfort, rather than pace. The 2.0-litre four-cylinder petrol engine of the E300 feels slower and less punchy than its 0-62mph time of 6.6 seconds would suggest, so you might be better off choosing the entry-level E220d and enjoying the economy and torque. Prices start at £45,000, but given the fact that it looks like a baby S-Class Cabriolet, with an interior to match, that feels like a small price to pay. Let’s not forget, the S-Class drop-top range kicks off at £113,000. Ouch. 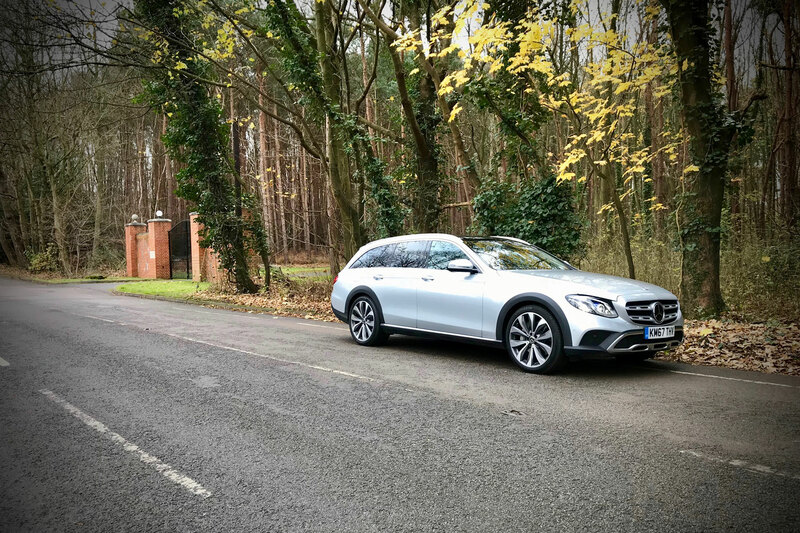 The third and final part of the E-Class three-car jigsaw is the All-Terrain, the latest member of the jacked-up premium estate car sector. I make no apology for my love of a good off-road wagon, and the All-Terrain definitely falls into the ‘good off-road wagon’ category. Which meant I was rather envious of MR’s John Redfern, who was able to enjoy the All-Terrain on the UK launch, complete with mud-plugging and an audition for Strictly Come Towing. I wasn’t able to get the All-Terrain’s boots muddy, but I was left with a feeling that I could spend the rest of my days with this Merc. You can keep your SUVs and crossovers. Mercedes has taken a refreshingly simple approach to the All-Terrain, offering a single engine and one trim level. It might cost the best part of £60,000, but the All-Terrain wants for nothing. Almost everything is standard, including air suspension, 20-inch alloy wheels and an excellent Burmester surround-sound system. To my eyes, the All-Terrain is the best looking E-Class in the range, with the body cladding and 20-inch wheels disguising the 29mm additional ground clearance. It’s a testament to the soothing qualities of the air suspension that the bling-sized alloys have almost no impact on the ride quality. If your school run or drive to the riding stables includes potholes, speed bumps and rutted tracks, put the All-Terrain at the top of your Christmas list. Fittingly, I found a local livery yard on a dead-end road, where I was able to test the performance of the 3.5-litre twin-turbocharged V6 diesel engine. Good lord, this thing is surprisingly quick, tearing through the nine-speed automatic transmission and laughing in the face of its two-tonne kerb weight. John described the driving experience as ‘effortless’, and I find it hard to disagree. He was also able to test the appropriately-named All-Terrain mode, which raises the ride height by 20mm and tweaks the stability and traction control systems. It was, by all accounts, a formidable machine when venturing off the beaten track. I have a hunch that the All-Terrain will be purchased by informed individuals, who fully intend to use the wagon to its full potential, probably calling upon its 2,100kg towing capacity. A niche car it might be, but purchasing one of these will mark you out as a person of fine taste and free thinking. I wouldn’t consider myself to possess either of these qualities, but I appreciate the E-Class All-Terrain. In fact, if push came to shove, I’d select the off-roader over the E63 S. The figures are impressive: a 640-litre boot, 41.5mpg, 0-62mph in 6.2 seconds and a top speed of 155mph. In the real world, that’s enough for everyone, especially when you consider its off-road qualities. My E-Class drives were all too short, and I spent far too much time battling the Surrey traffic to get the best from each car. But I came away with a feeling that the E-Class range is probably the most diverse and impressive selection of vehicles on sale today. Better looking than the C-Class, an interior that’s on a par with anything this side of £100k, S-Class levels of refinement, and a variant fit for any occasion. Es might be expensive, but with this trio of cars in your garage, you’re pretty much set for life. >NEXT: Track test: which is the best Mercedes-AMG GT?